Courtesy of 4-Star, Realtors, Steve Sundin. New House! (at a new price!) 3 bedroom, 3 Bath, 1777 square foot home on large 10,251 square foot lot. Separate Living and Dining/Family/Study. Fireplace. Double wide driveway. Room for RV. ALL NEW: Kitchen, Bathrooms, Central Air Conditioning and Heating, Plumbing, Windows, Appliances, Flooring, Painting etc... Parcel is perfectly set up for a Second unit (ADU) if desired. One example of plans have been drawn up. Over-sized (24') garage with workshop area. All work done with building permits by a contractor partnership with a combined 80+ years of experience. Come by and see this beautiful home! House comes with READY-TO-BUILD, permitted PLANS for a 900 square food two bedroom 2nd unit! 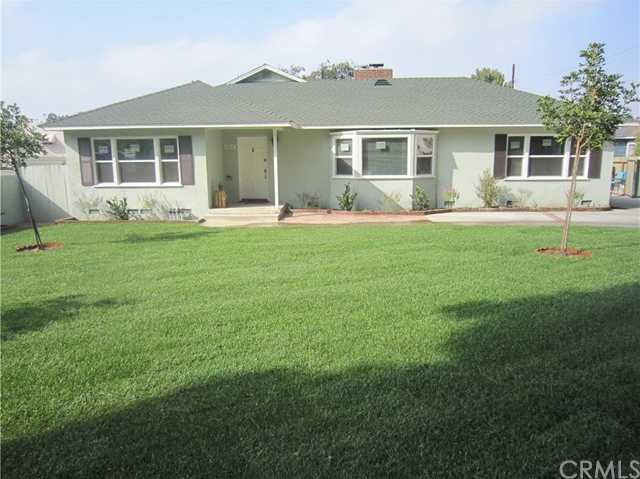 Please, send me more information on this property: MLS# PW18266027 – $649,000 – 12018 Beverly Boulevard, Whittier, CA 90601.